I don’t go anywhere without setting my eyebrows with some clear brow gel (we can’t have those brow hairs flying around). I’ve been using the e.l.f. Wet Gloss Lash & Brow Clear Mascara for years and I love it, but when I had almost run out of the one I was using, I thought why not try another clear brow gel. I picked up the Maybelline Brow Drama Sculpting brow mascara in Transparent and wore the two brow gels at the same time; one on each eyebrow. Both brow gels kept my eyebrows in place all day, but I did fell like I had to check up on the Maybelline one every now and again. I find the e.l.f one more stiff than the Maybelline one which I prefer. 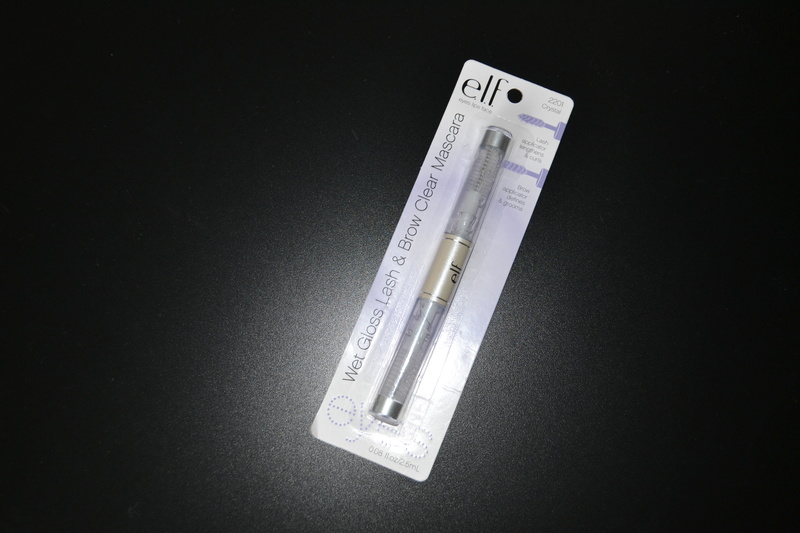 The wand on the Maybelline one is a bit strange as well (it’s like a ball), so overall I prefer the e.l.f. one. The Maybelline one is not bad; I just think the e.l.f. one is better (and it’s cheaper too). This entry was posted in Comparisons, Information, Make-up by Mucha-Lucha. Bookmark the permalink.